The Bible recognized long ago that we humans have certain dominant tendencies. We do not need psychologists or new found help books to explain this to us, it is all clearly spelled out in the Bible. There is nothing new in this regard. There have always been great men who rose above the others and realized the true potential of mankind. There have been men who have risen to touch the sky and behold the glory of all creation, those who have transcended the mundane to become the glory of man as God intended. But the vast majority of people throughout the vast majority of history simply follow the dominant tendencies of mankind. As the Bible says the nature of man is evil, what this means is that people follow their natural tendencies, which are less than noble. The goal of the Bible is to educate man to a higher level, to improve his natural tendencies, to raise a good man from his youth with concern for others, in particular for the weaker elements of society, those that need more protection. This is a very long but effective process. It begins with a proper example and education at a very young age: To care about others, social justice. I am driving through Germany with a German friend. I watch the trucks go by, so and so and his son, this business or that. Just ordinary people. What the German people did during World War Two, was it a reflection that something about these people is inherently different from other nations? Not all, the vast majority of people just follow the Dominant Tendencies, they do not really think too much. It is no different than America today where few stop and think before following some stupid idea. I listen to the GPS tracking system in German and I try to pick up a few words. I hear the word Folgen, again and again. I ask my friend what this means. She says it is a bad word and she does not want to use it. A bad word? The sweet GPS lady is using a bad word to give us directions? She says it means To Follow, as it follow this route until the next exit. But for her it has terrible historical connotations. I look it up later, it also means to obey, to follow a political leader. It also means to comply. She says no German will want to use this word. I do not think the German people are any different than any other people. In fact I feel bad for them that they must grow up with this terrible shameful history which is not their doing and not their fault. Thankfully there are also many great German heroes who resisted the tyranny, most of them paying for it with their lives. A book should be written about the German resistance, from Sophie Scholl to the White Rose and the Edelweißpiraten. But most humans simply follow the Dominant Tendencies and resemble sheep in a herd. And when it comes to self defense the story is the same, most people follow the Dominant Tendency, which is to do nothing. As Krav Maga self defense instructors we are baffled. We see the crime, we see the violence but yet when we invite the public to come train we only have a few who are interested. We are grateful for those few but where are the others? Where are they? They are shopping, and watching TV, drinking beer, they are following the Dominant Tendencies and allowing bad things to happen to society. Society becomes Great Again by those who decide not to follow the Dominant Tendencies but to ACT! Our Dominant Tendency is towards inaction, i.e. laziness. Our Dominant Tendencies are to follow those with the great Will. (i.e. those who fight to get their way). Our Dominant Tendency is to just let things happen without our objection. That is how people are shoved into cattle cars and taken to concentration camps without too many people making a fuss, because most people in most countries at most times just follow, Folgen: Follow, Obey, Comply. In Israel we have been taught a very harsh lesson from this history and this has changed our mentality and shaped us into a Nation of Warriors. 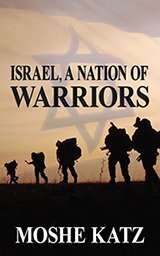 Over 300 pages, the history of Israel and the Jewish people as a fighting nation from the days of Abraham to our own times. The book covers the history and roots of Krav Maga and the modern Israeli Defense Forces. The book analyzes what makes Israeli security the best in the world. 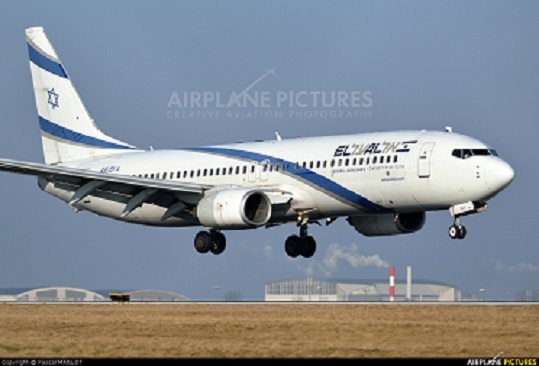 What makes Israeli airline security the best in the world? What is the Israeli approach and mentality that make us the leaders in the security industry and personal safety field, and being sought after all over the world? Why are school shootings not happening in Israel? What military Biblical traditions are still being followed today?